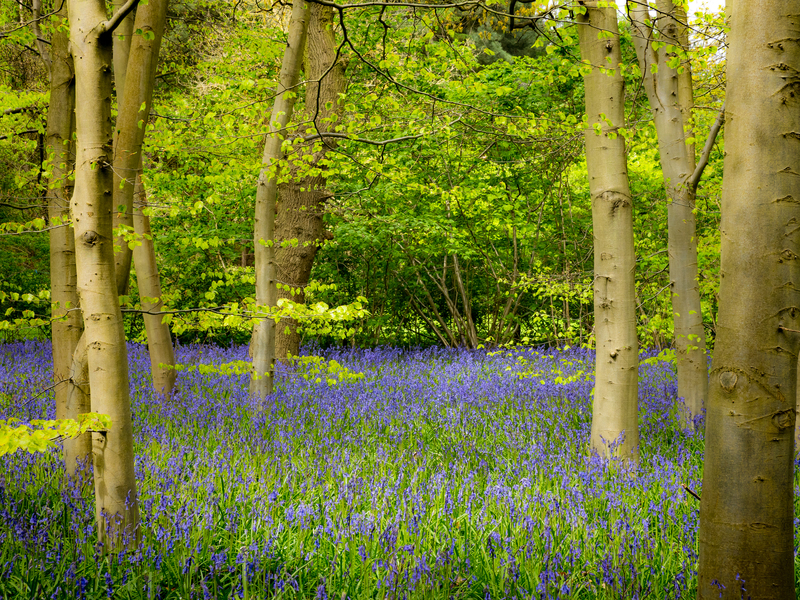 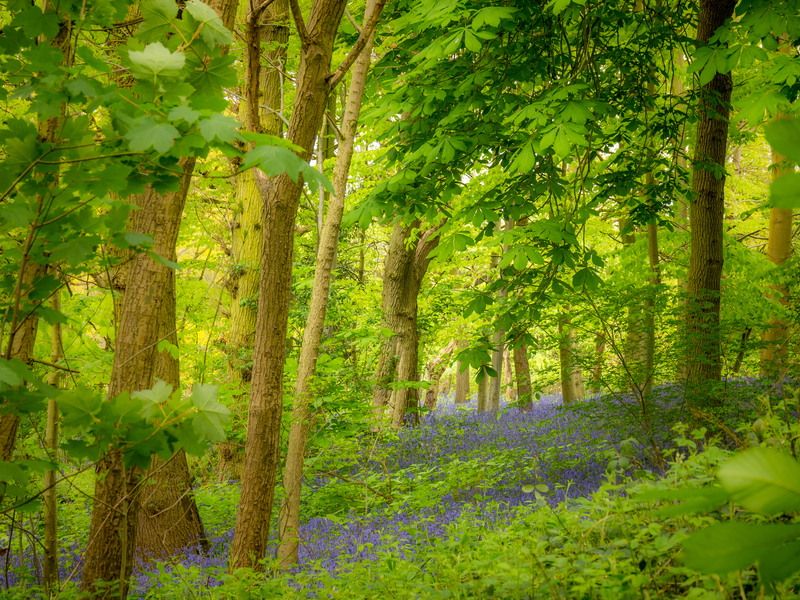 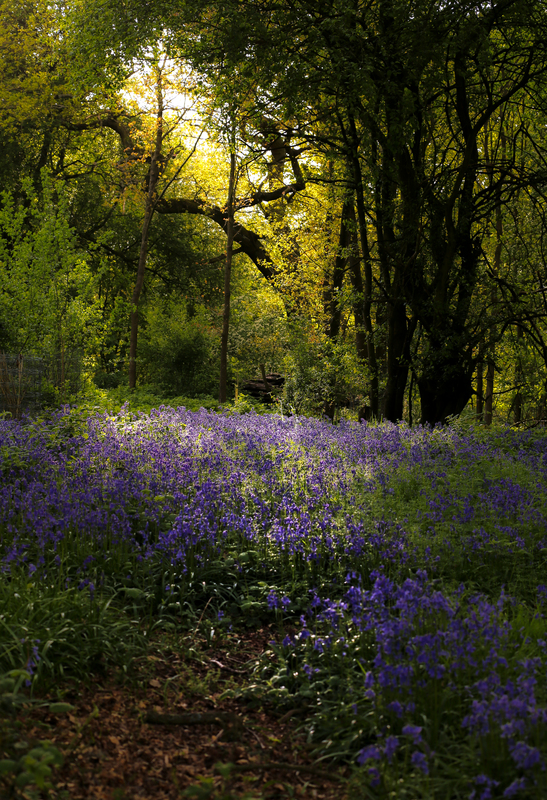 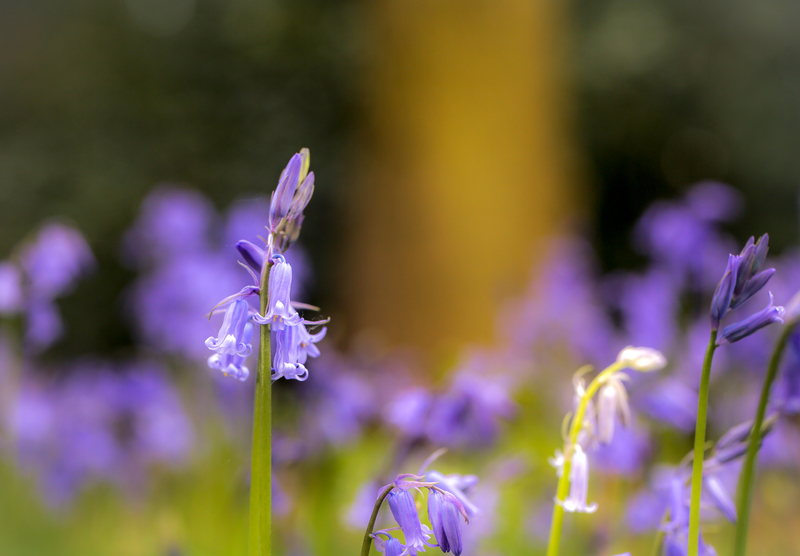 We have the most fantastic display of bluebells at the woods every year, and every year it is a little bit different. 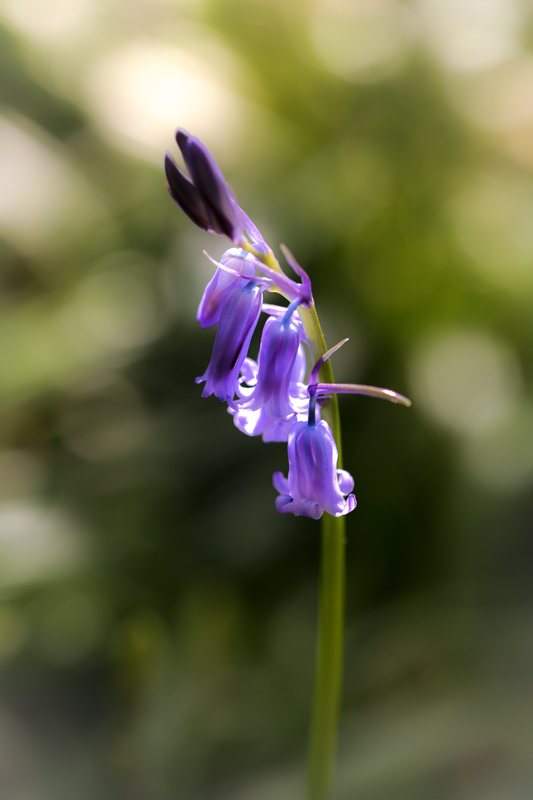 This year we didn’t have a cold winter, and so the brambles did not die back in our main bluebell patch. 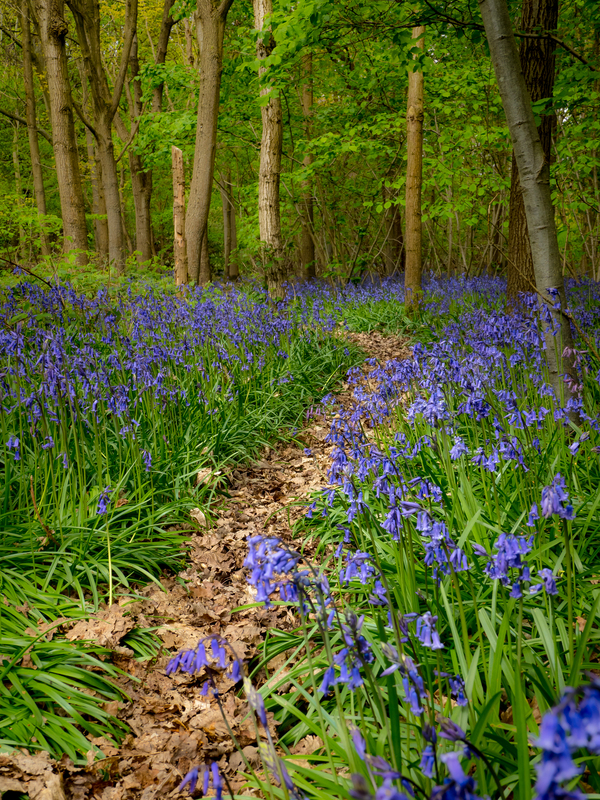 In consequence, the bluebells in that area are not so good, but in other areas they are surprisingly good. 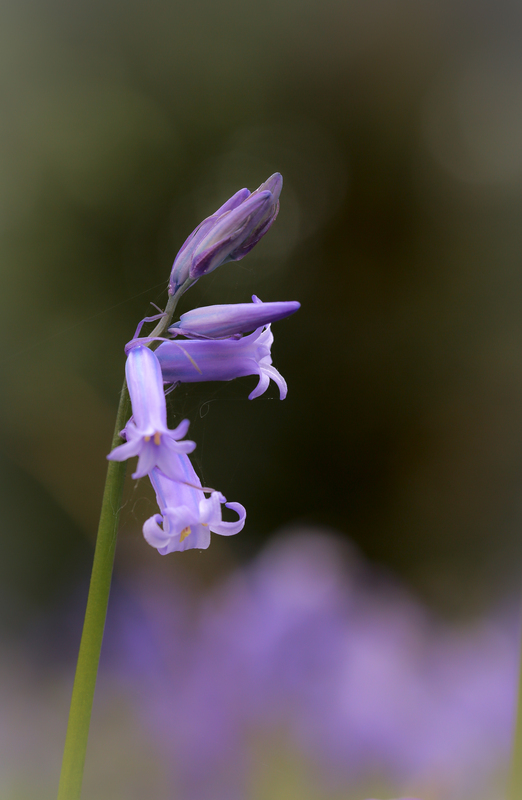 All our bluebells are English native bluebells. 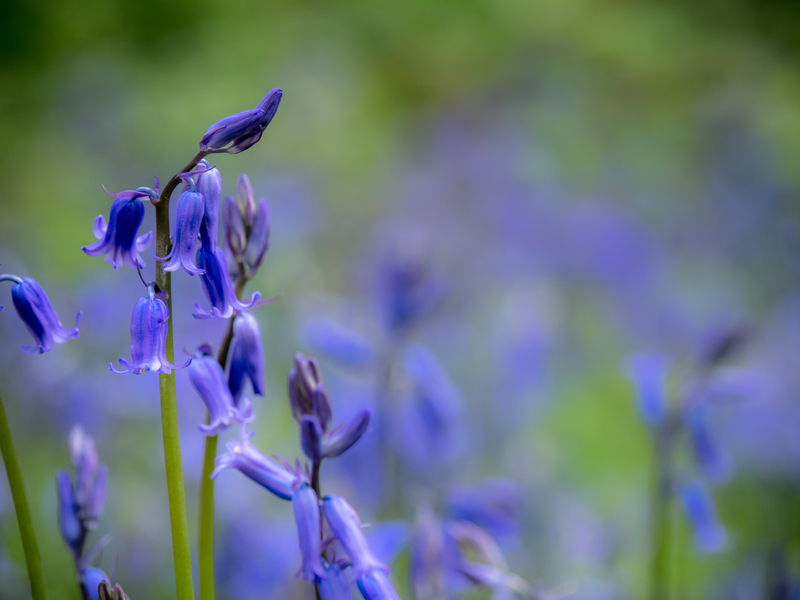 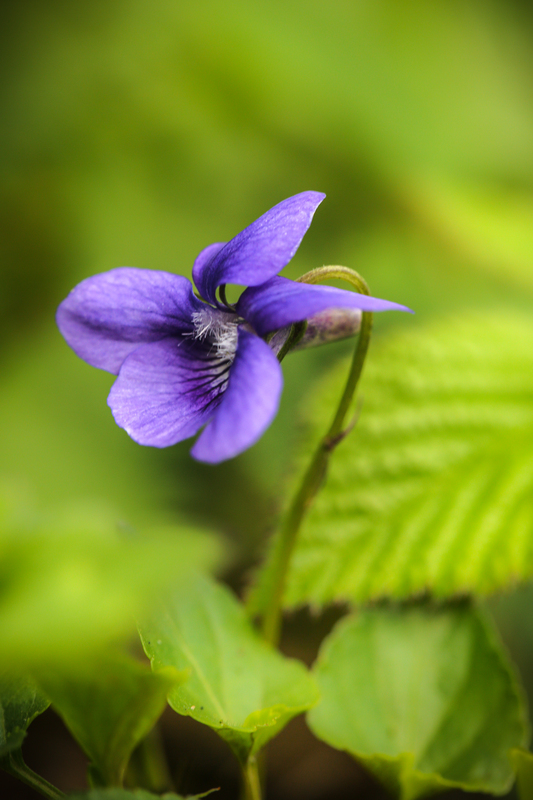 There are probably getting on for a million of them at the woods, and it is quite amazing how they differ in form but also in colour, ranging from an extraordinary deep purple-blue, through all shades of blue, some even with a touch of turquoise, to very pale blue. 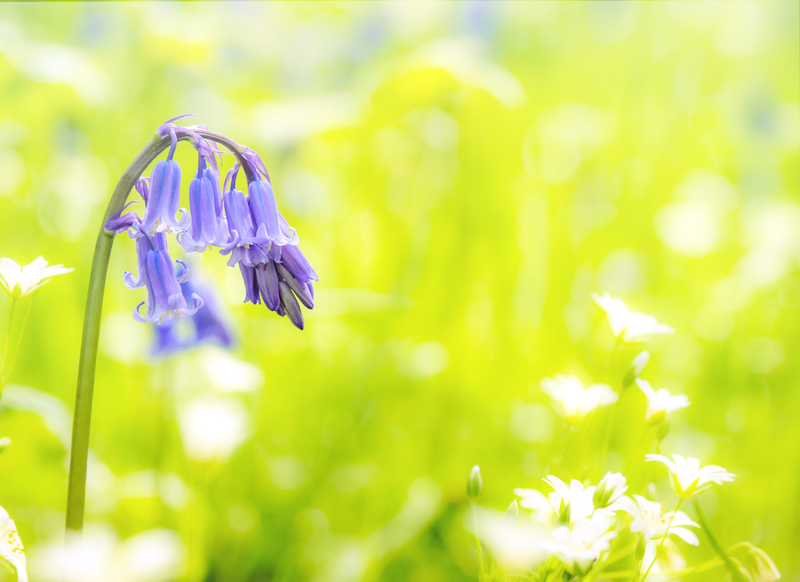 We even have one pink English bluebell, and one or two white English bluebells. 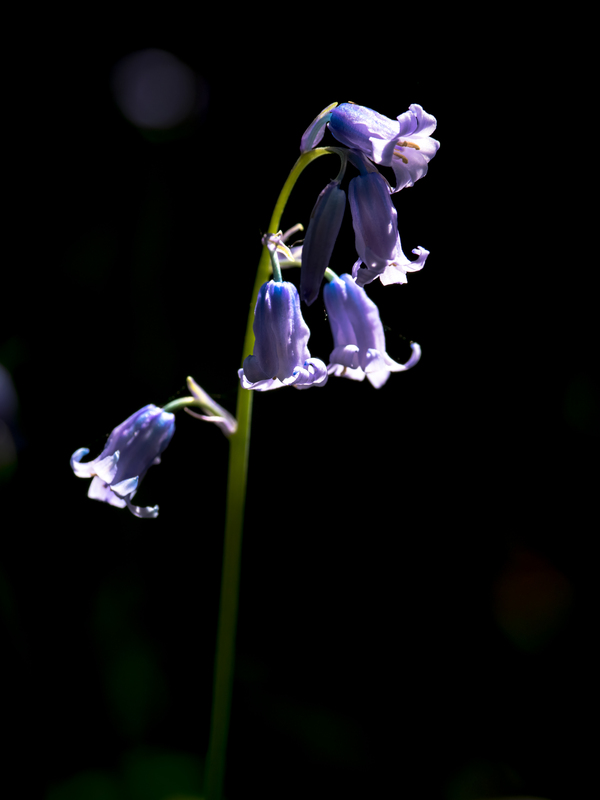 How do we know that they are English bluebells Hyacyinthoides non-scripta and not Spanish? 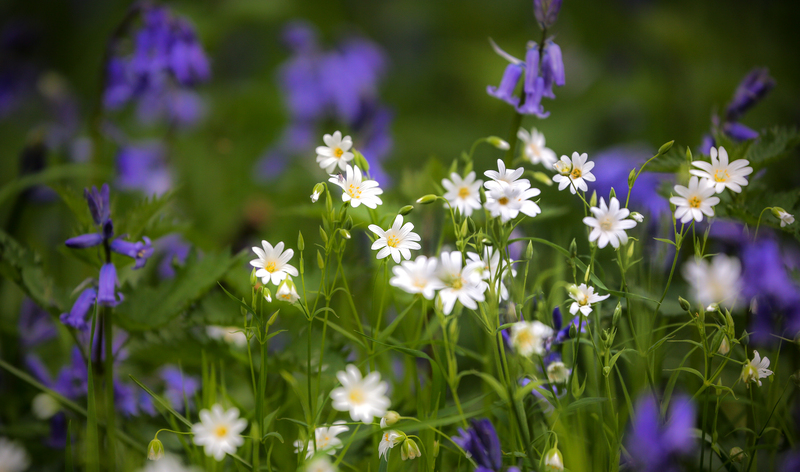 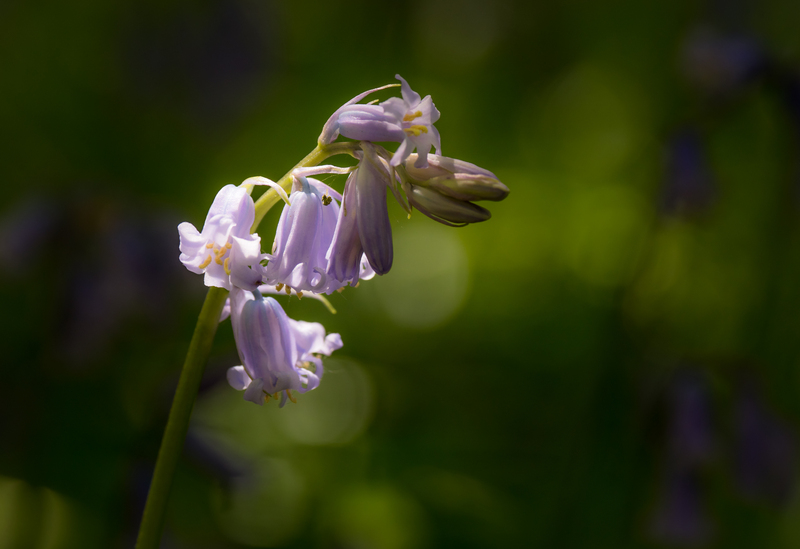 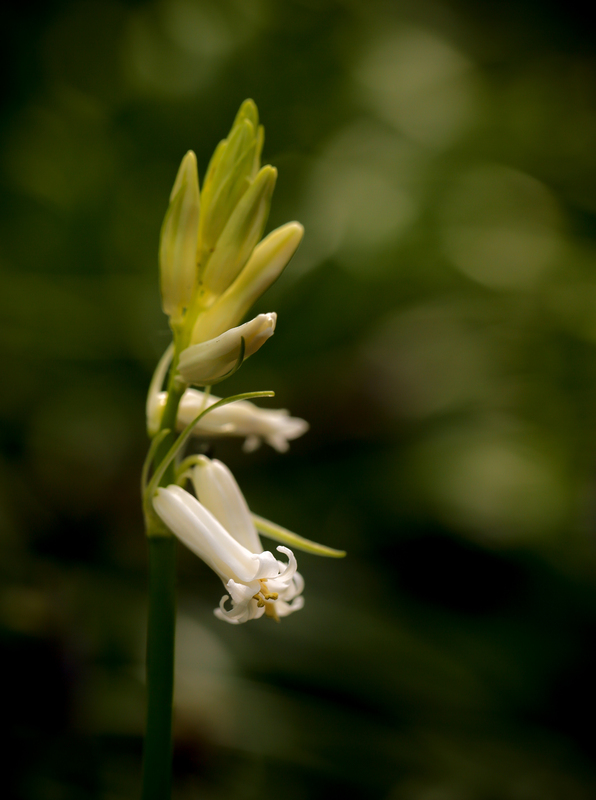 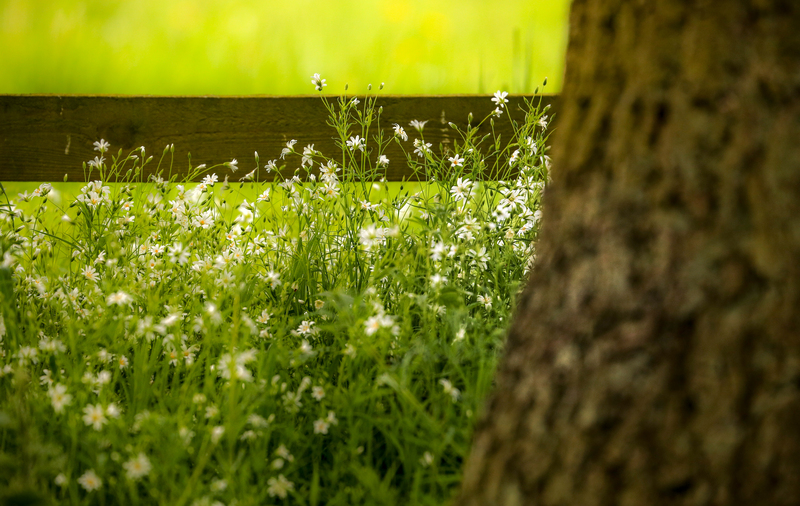 Well, our bluebells all have narrow leaves, most are bent over at the top, rather than standing tall, they have long narrow flowers with recurved petals, and they have white or cream coloured pollen. 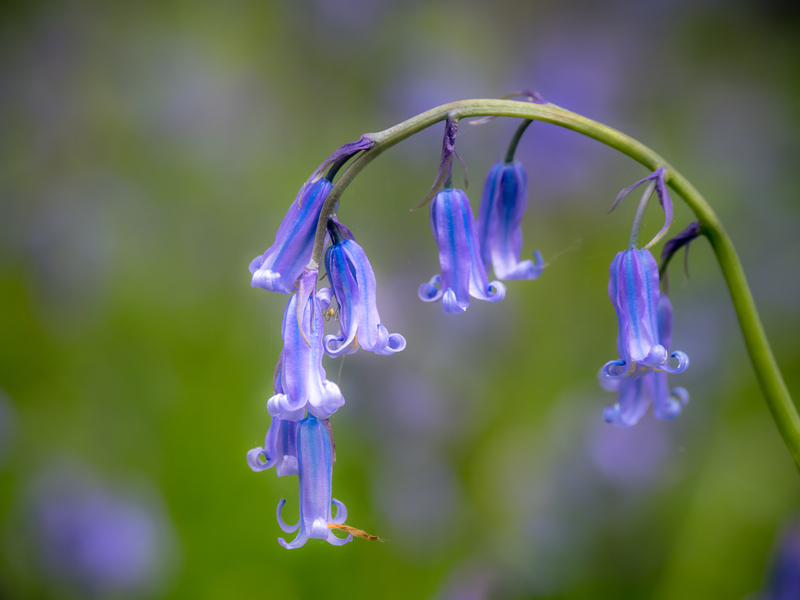 Spanish bluebells have broader leaves, stand up tall, have wider flowers with non-recurved petals and tend to have blue pollen. 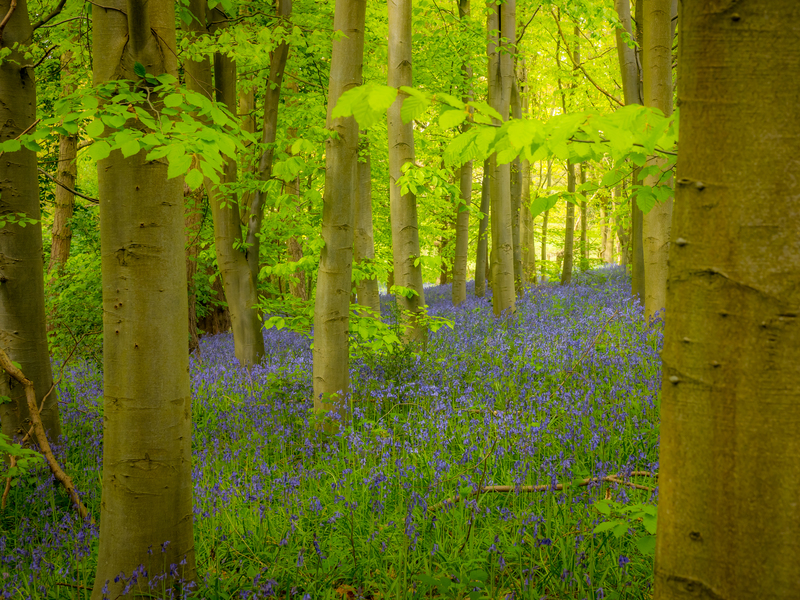 It is difficult to capture the feeling of being in and among the bluebells on camera. 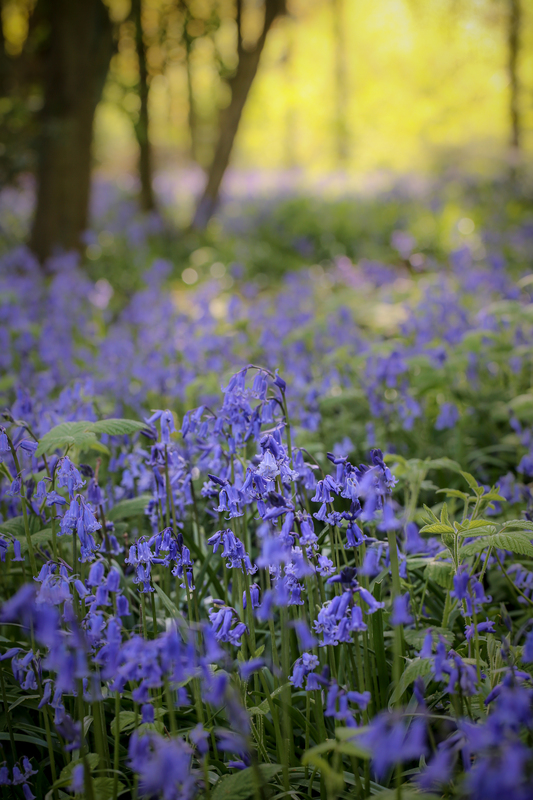 Simple images don’t do justice to the intensity of the blueness, nor do they really capture the delicate beauty of these flowers. 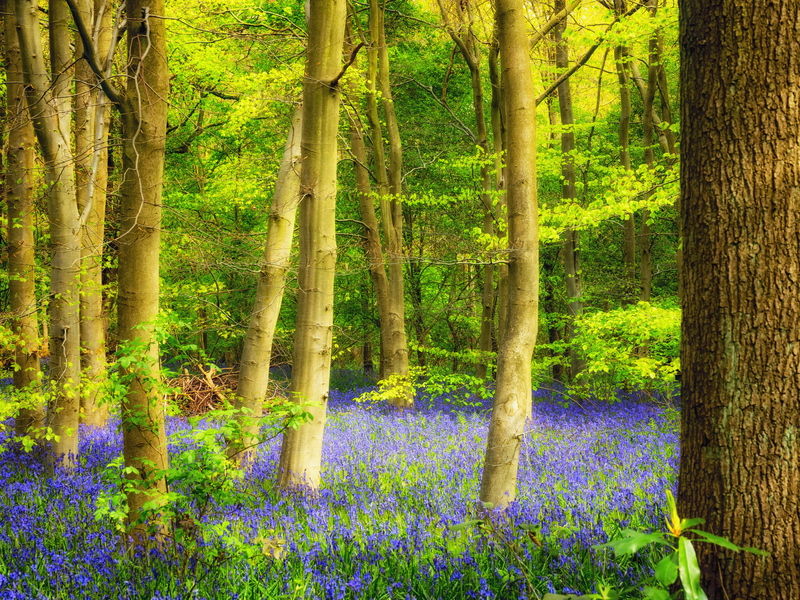 There is nothing for it but to get down and get dirty in the mud. 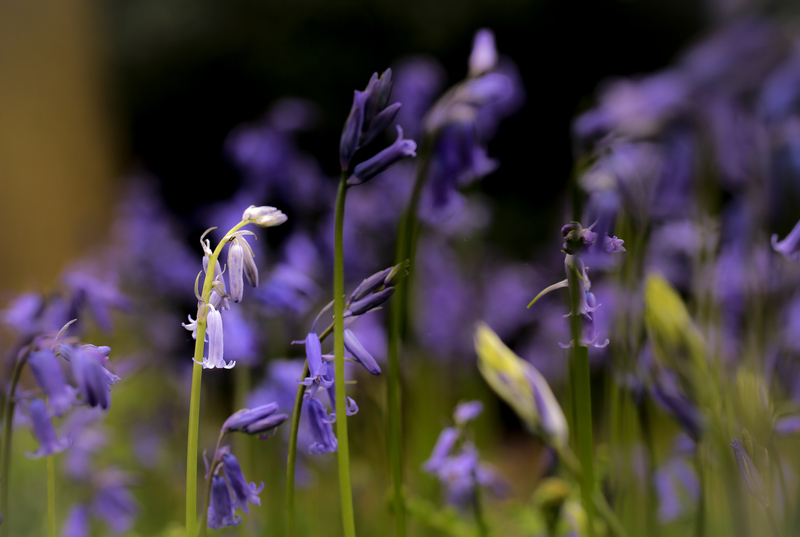 I tend to photograph bluebells lying on the ground, where I can get good support for the camera. 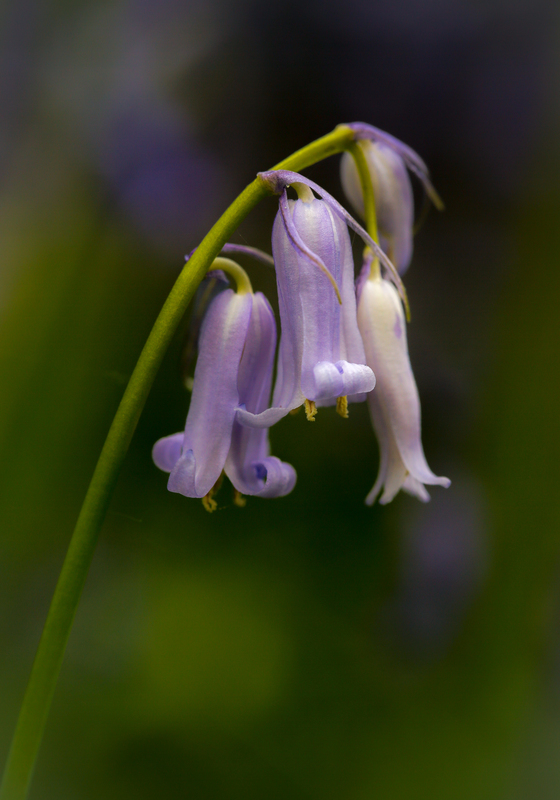 I try not to disturb other bluebells, and this does limit my ability to get good angles sometimes. 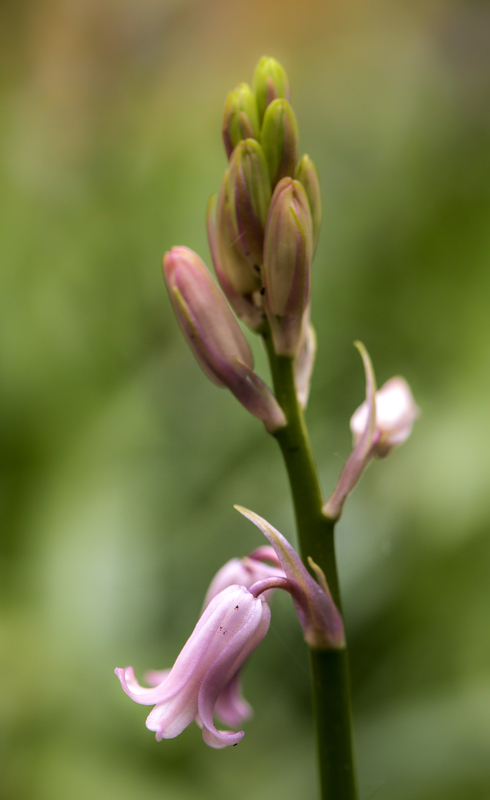 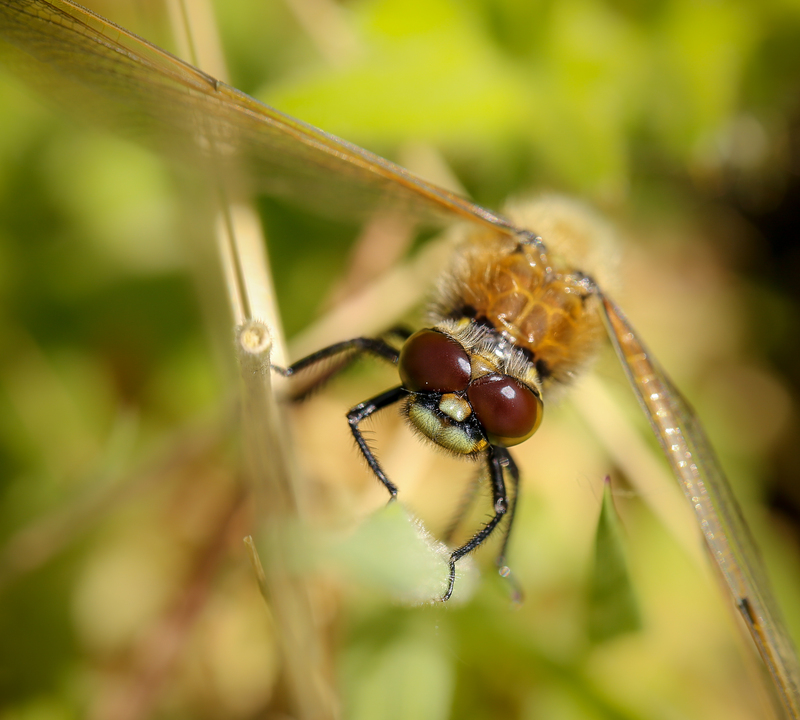 I try to use selective depth of field. 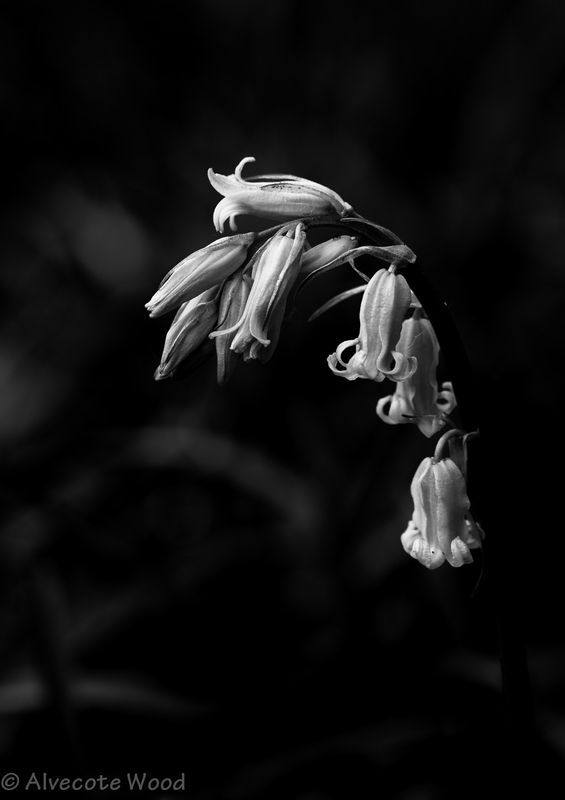 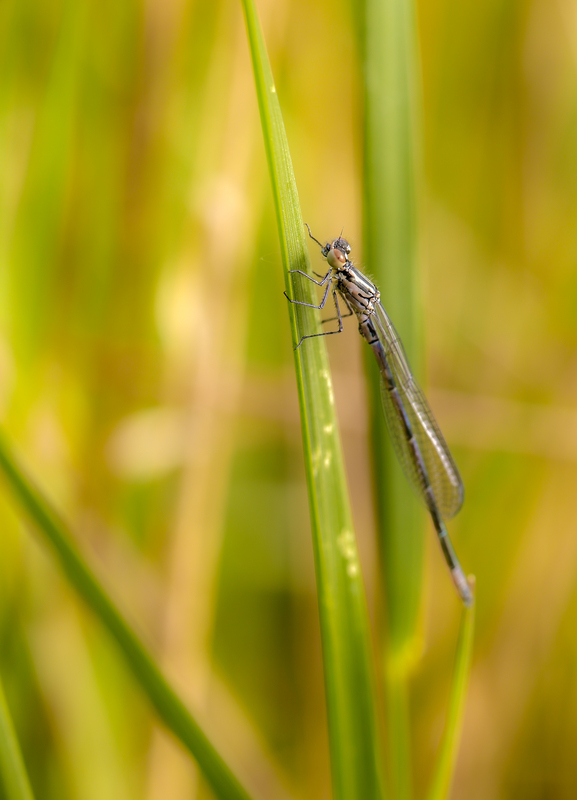 Depending on how far the subject is from the background, I use f stops somewhere between 4.0 and 8.0, and always my Canon 100mm macro lens. 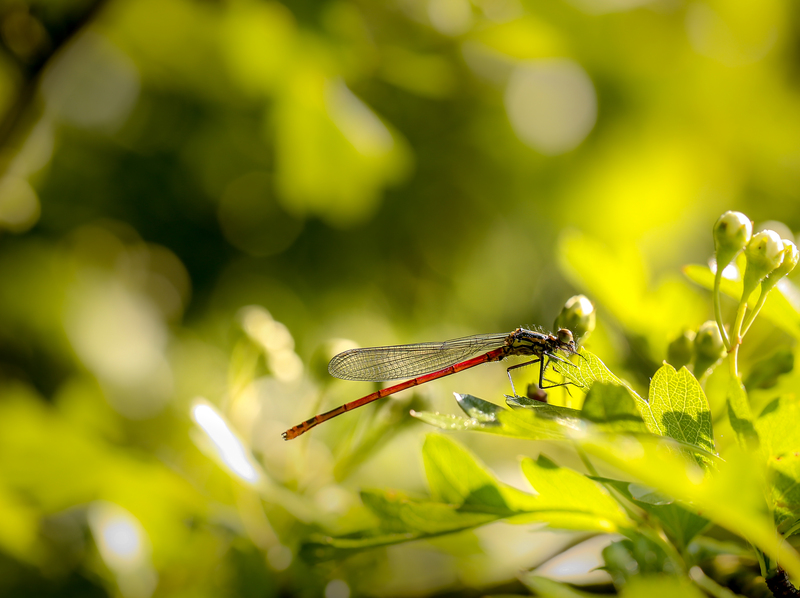 I also try to get a good background clear of clutter – either with bokeh from the light coming through the trees, or a clear dark or light background. 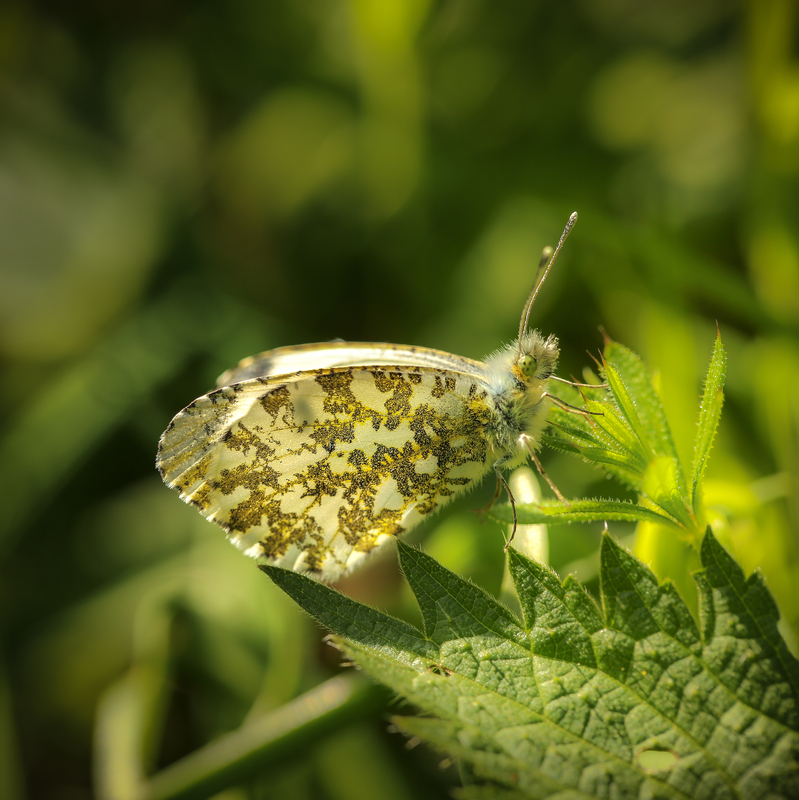 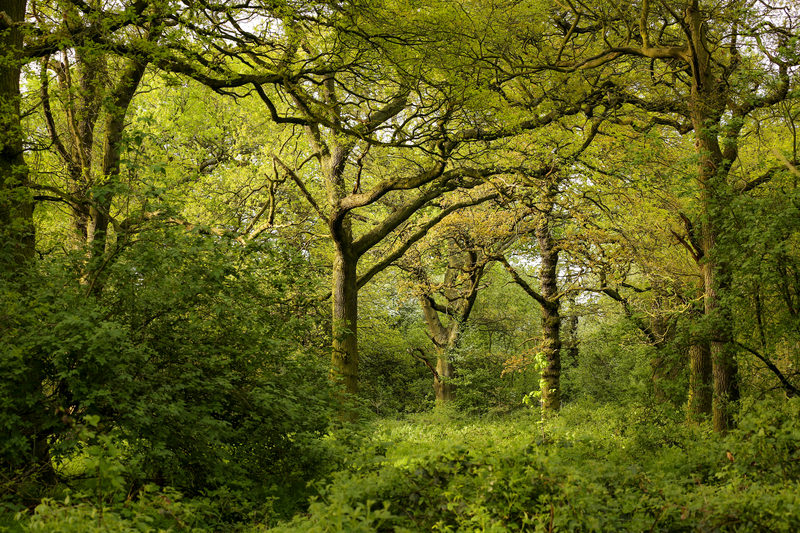 Exposure can be anywhere from +2 to -2 stops, and compensation is really important in the dappled light of the woods. 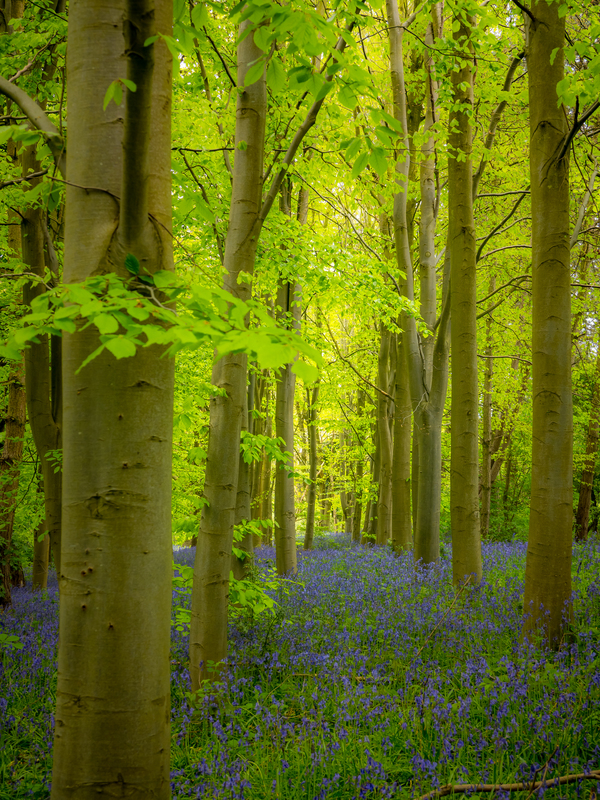 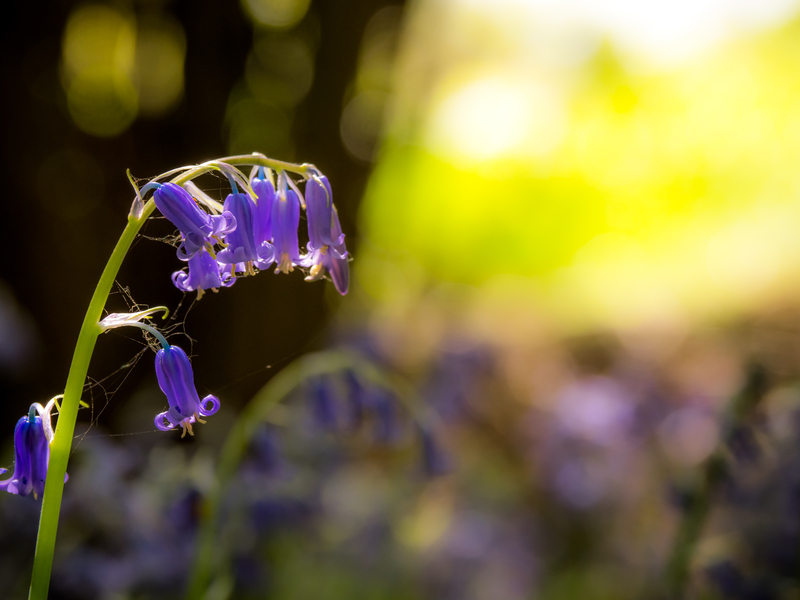 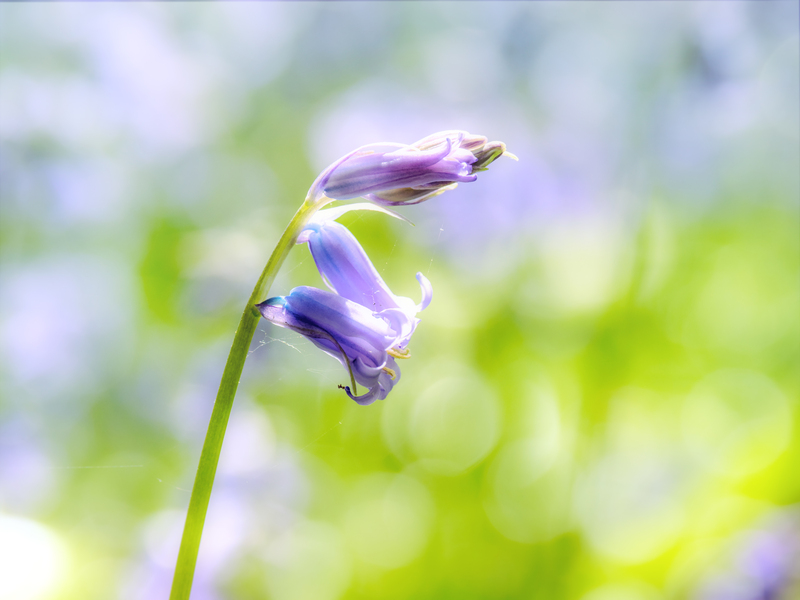 Finally, post processing is important to capture the feeling of being among the bluebells – I generally use Lightroom to tweak the curve and get the result I am looking for. 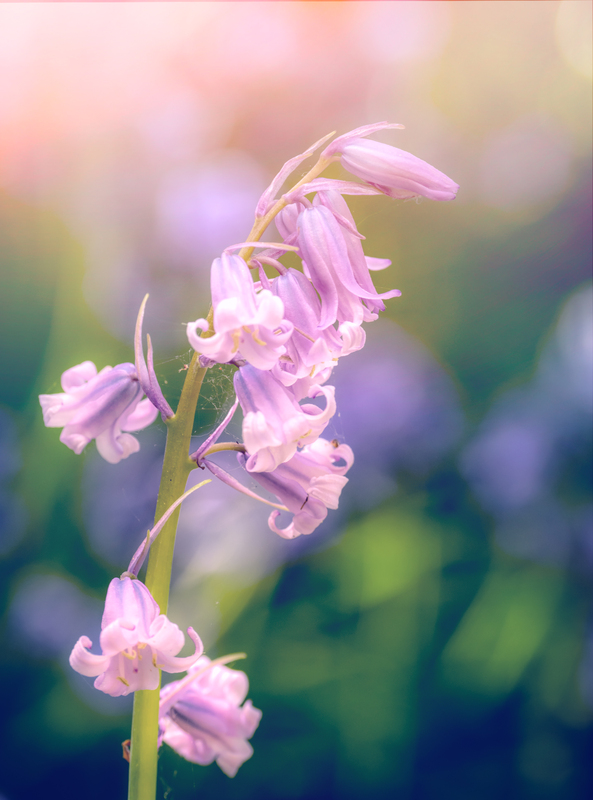 I feel very privileged to have such a wonderful selection of these beautiful flowers to choose from, despite that fact that I am allergic to them and they give me heroic doses of hay fever whenever I try to photograph them! 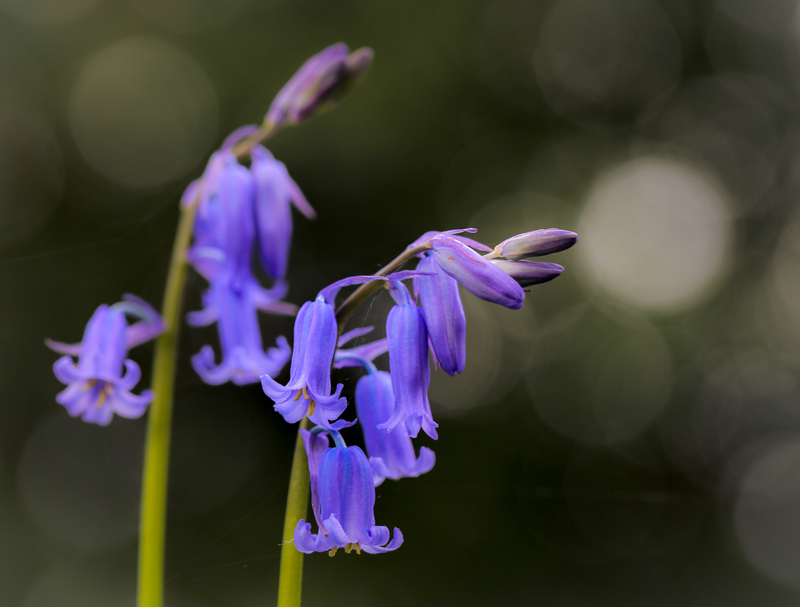 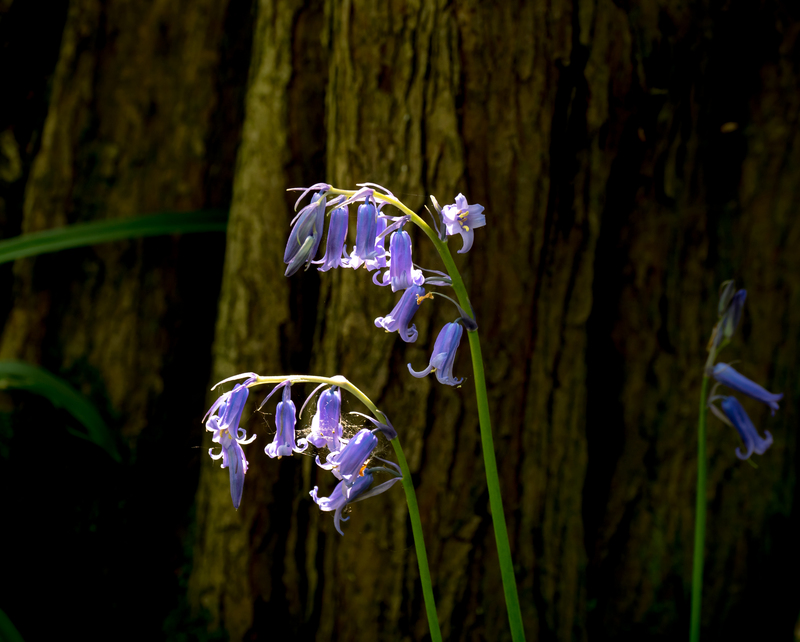 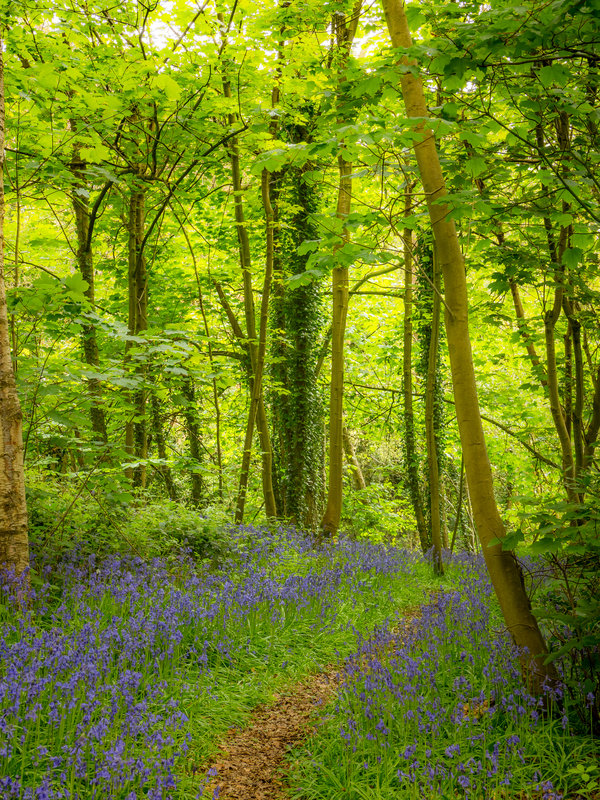 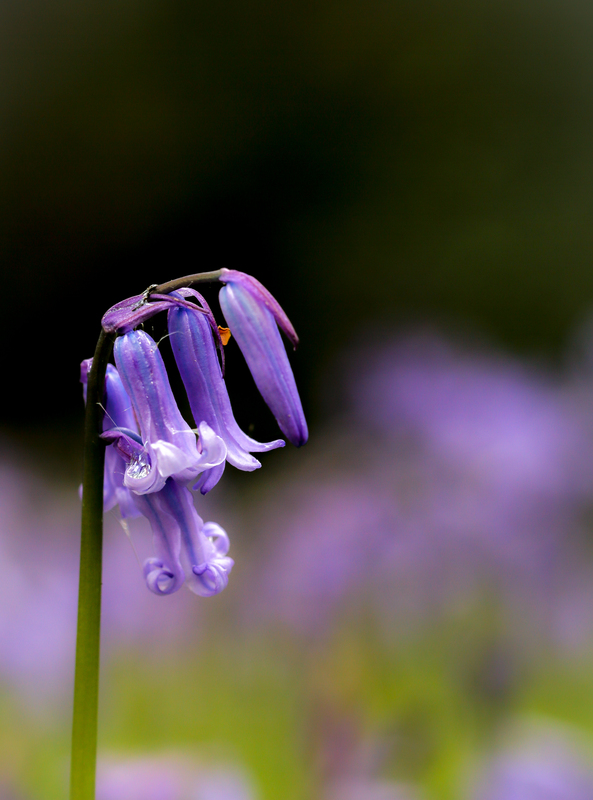 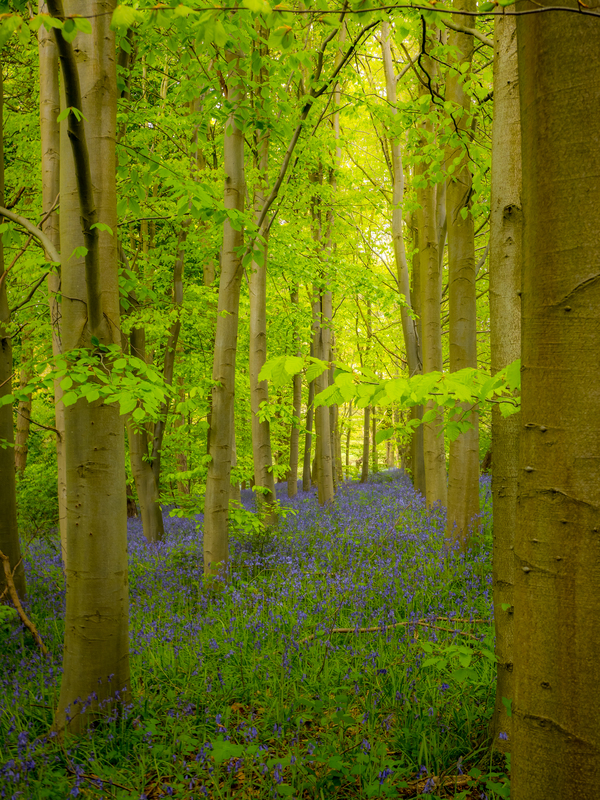 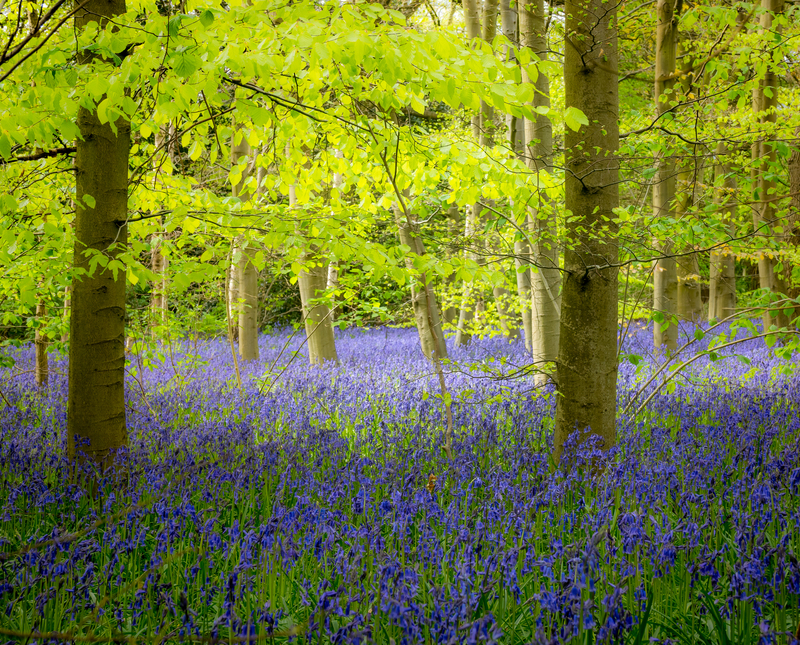 Bluebells are common in Britain, but rare worldwide. 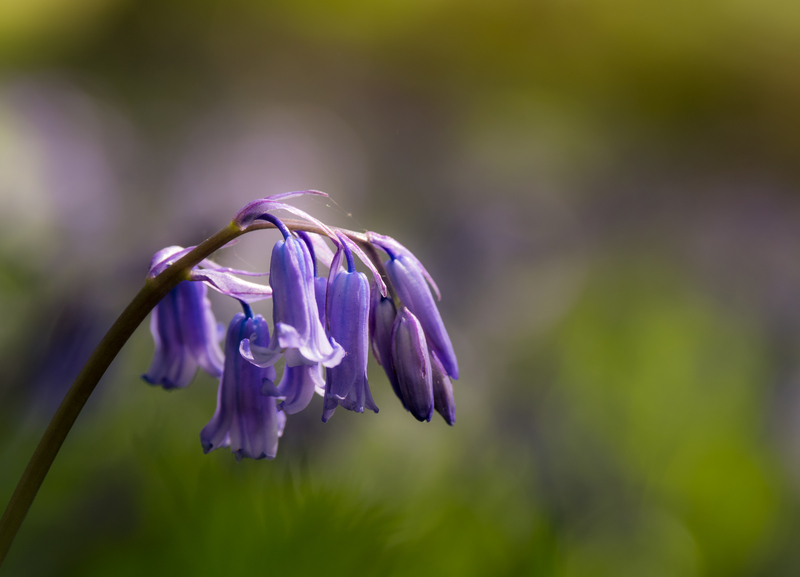 If you would like to help survey bluebells in Britain, and to see the extent to which non-native and hybrid bluebells have spread, please fill in the Natural History Museum survey http://www.nhm.ac.uk/nature-online/british-natural-history/survey-bluebells/ – anybody can do this, and it will be of great help. 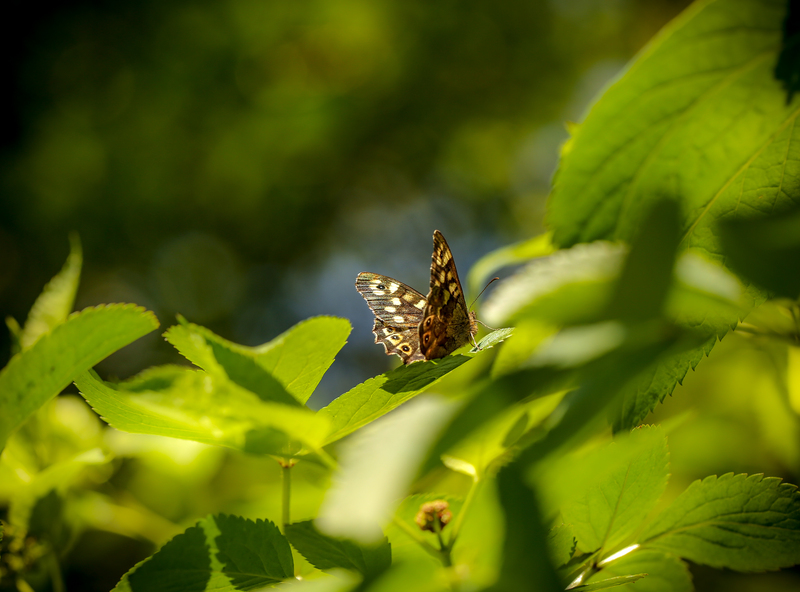 Photo of the Year – RESULTS! 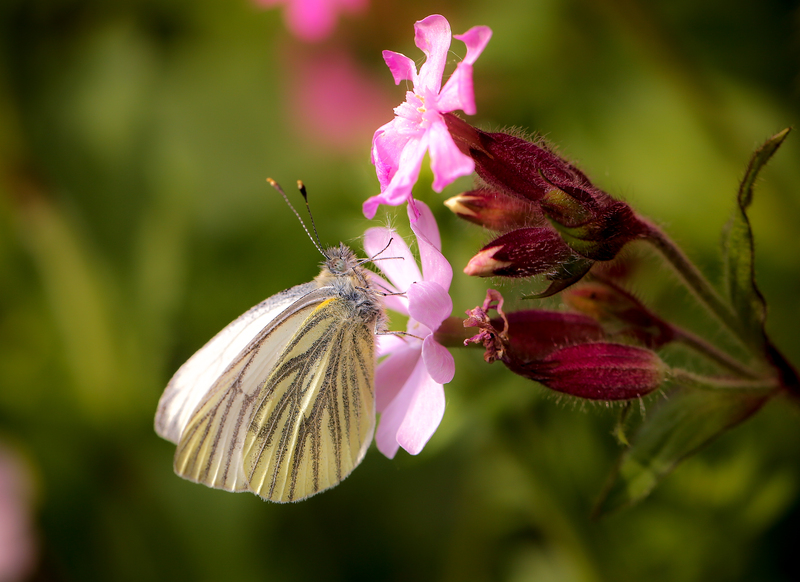 Happy New Year, and thank you to everybody who voted in the poll for our photo of the year. 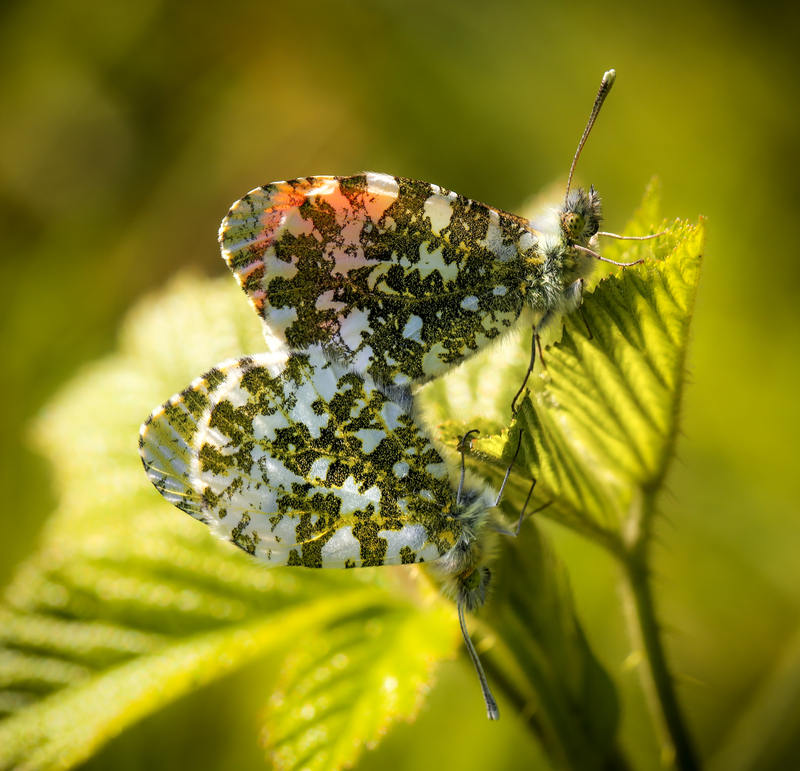 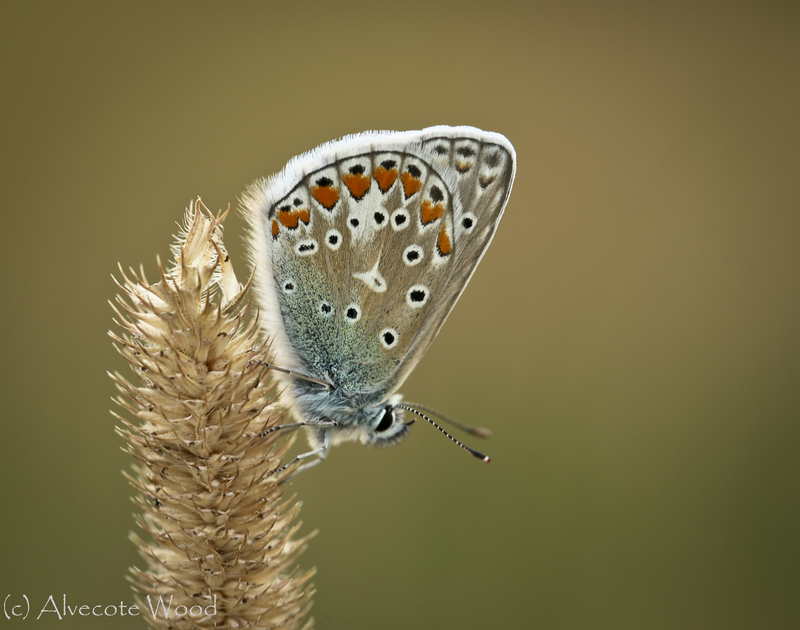 It was a very close vote in the end but we have a winner – and it is the photo of the common blue butterfly roosting at dusk. 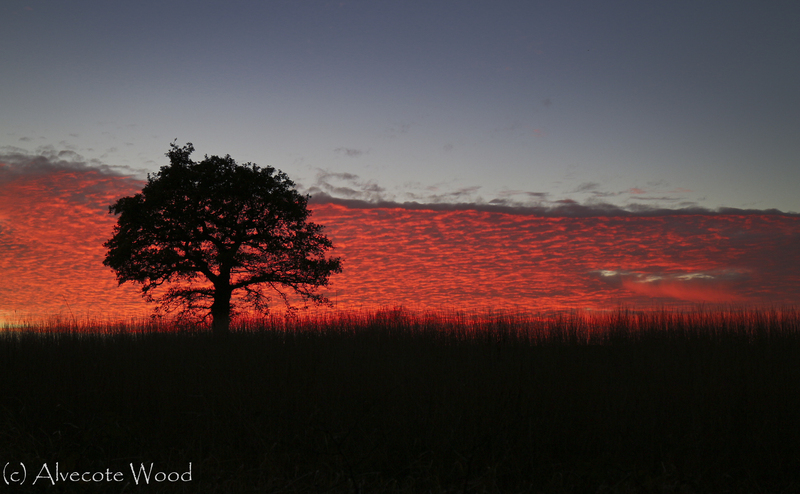 Runner up was the sunset shot. 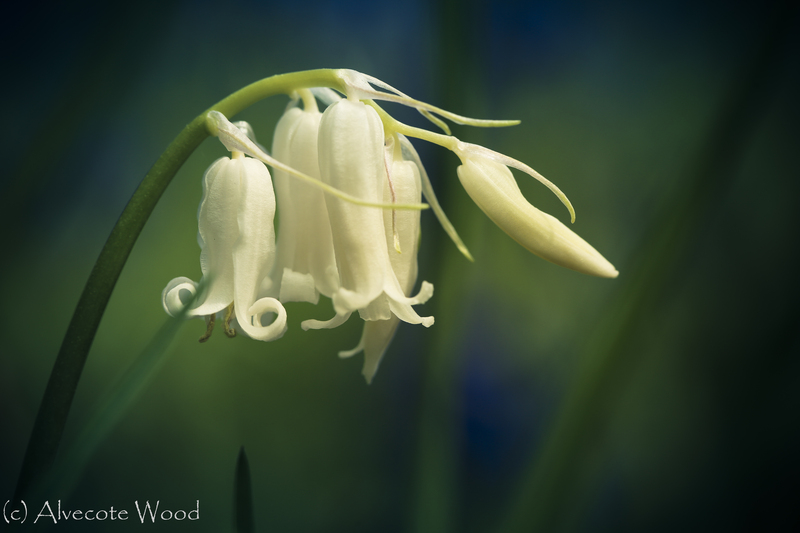 I’m hoping for another wonderful photographic year at the woods in 2014.